How to make beer ? After talking with several friends, I realized that there was an essential missing article to this blog. Beer is indeed my passion. But when I’m too much into it, I do not realize that I speak Chinese for many people around me. Let’s go back to the basics ! I will explain in this article what is beer ? How to make it et how to recognize the different types of beers ? In a mash tun, the previously crushed malt (finely ground barley grains) is mixed with hot water. The result is called the mash. It’s some kind of cereal soup ! Step where the brewer heats and mixes the mash at different temperatures to extract the starch. Once the brewing is done, the mash is filtered. The starch is then totally converted into sugars.This filtered sweet liquid is called the wort. We cannot yet called it beer.The spent grain makes first-class cattle fodder. It’s a crucial step in the brewing process ! The wort is boiled at 100°C. It is thus sterilized. It’s at the end of boiling that the hops are added to develop the bitterness and the flavors of the beer. The wort is then cooled to a temperature around 20°C to avoid killing the yeasts that will be added in the next step of the brewing process (yeasts are living organisms). Before starting the fermentation, live yeasts are added to the wort. The action of the yeasts on the wort transforms sugars into alcohol and CO2. This is the alcoholic fermentation. It is done at a temperature inbetween 18 and 32°C. After a few days (3 to 5 days), we can now speak about beer. The fermentation can be called low, high or spontaneous depending on the type of yeast used. Spontaneous fermentation is used for wild beers or lambics. No yeast is added to the wort. The brewer lets the nature do its work. We then speak about wild yeasts (the microorganisms living in the air). Lambic beers serve as base for other beers such as faro, gueuze or fruity beers like kriek. We will come back to this in a future article on lambic beers and the Cantillon brewery. If the yeast rises to the top of the fermented beer, it is called high fermentation. These beers are called ales. They have more complex and developed aromas. They are stronger too. Finally, the low fermentation beers are called lagers or pils. These beers are lighter. During fermentation, the yeast multiplies. We must then remove the yeast surplus. It can be used as a dietary supplement or in some beauty products. The beer is then cooled to a temperature of 1°C before being stored in a storage vat. The refermentation is done in the bottles. Before filling them up, some yeast and sugar are added. This addition allows a new fermentation that creates CO2 and therefore bubbles. It gives an extra degree of alcohol to the beer. Refermentation is not mandatory or performed on all beers. Before tasting, the beer can be kept from 3 weeks to several months / years depending on the beer in order to finish its fermentation and to develop new flavors ! 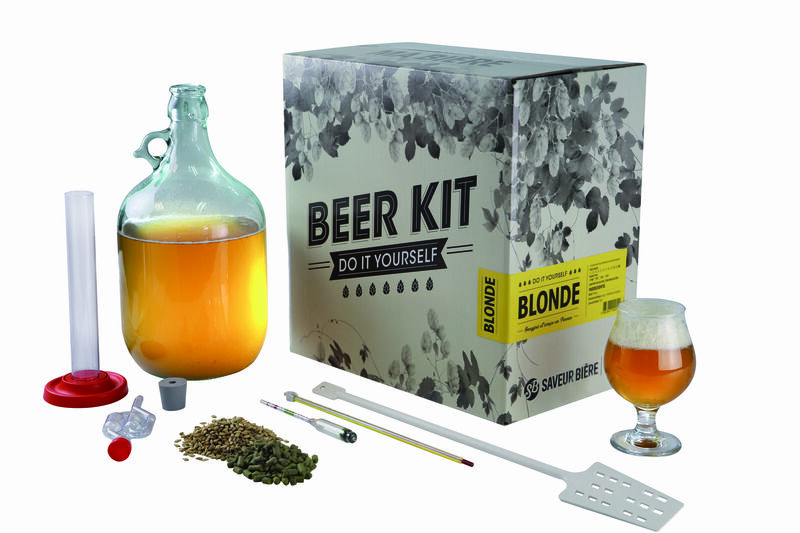 Blond beers : they are brewed with unrefined blond malts. For example, lagers are blond beers. The taste is often light and floral. Red and amber beers : they are brewed with slightly roasted malts giving this copper color to the beer and its slight caramel flavor. Dark beers : they are brewed with a roasted malt allowing a sweet balance in taste between the bitterness of the hops and the caramel of the malt. Black beers : they are also called stouts and are made with a very roasted malt. With their very dark color, they are very strong beers. White beers : also called weissbier, they are unfiltered and owe their color and taste to the use of wheat instead of barley. a triple beer (9%) with the presence of three times more malt in its composition than a simple beer. Finally, there are variants depending on the components used : for example, an IPA (Indian Pale Ale) or an APA (American Pale Ale) contains more hops than conventional beers. It explains its bitterness and its small taste of citrus fruits. If you are interested in brewing your own beer, I recommend you to visit the Beer Storming Brewery in Brussels. They offer tastings and some visits of the brewery but especially you could try a brewing experience with the master brewer during a late afternoon / early evening. It includes the visit of the microbrewery, the tasting of 4 beers and a 2-liter growler of a beer of your own choice. It includes a beer brewing experience, an open bar during the evening, tapas, a meal and a 2-liter growler of the beer of your choice. After 1,5 months, you could go back to the brewery to fill up again your growler with your own beer creation.